Photo challenge: consider and appreciate now, before now evaporates and becomes then. Offering incense sticks to Mother Ganga at Kumbh Mela – Allahabad, India. Wonderful choice for this week, Stefano. Transience in an image. Love your perspective in taking this picture! 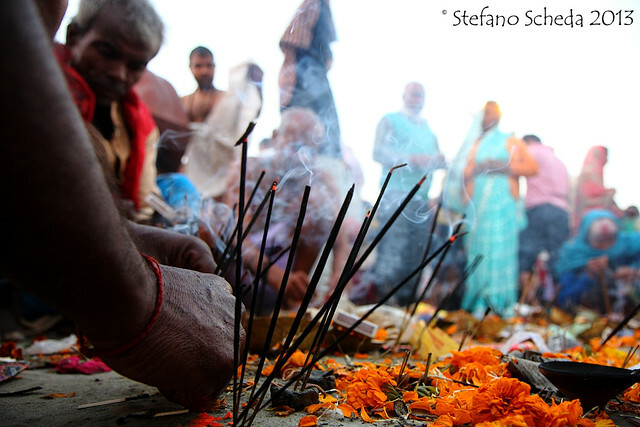 A fantastic image, Stefano – the close-up along with just enough of a backdrop to put it all into context.